According to university farm economists across the Midwest, 2019 is the year where farmers need to scrutinize their crop expenses, and see where they can cut costs to improve their net return per acre. Currently, the projected fall prices for corn and soybeans are mid-$3's and mid-$8's, respectively, is very close to the cost of production. In order to achieve profitability, production costs will need to be reduced. A recent University of Illinois analysis of three years of Precision Conservation Management (PCM) data showed practices that reduced costs and increased profitability. 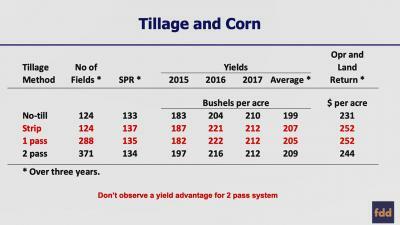 According to Dale Lattz and his team at Farmdoc, their analysis of data from 783 corn and 952 soybean fields showed that additional tillage did not increase yields or profits. It showed the more profitable "tillage" systems for corn were either strip-till or one-pass systems. Systems that had two or more passes did not increase corn yields or profits. 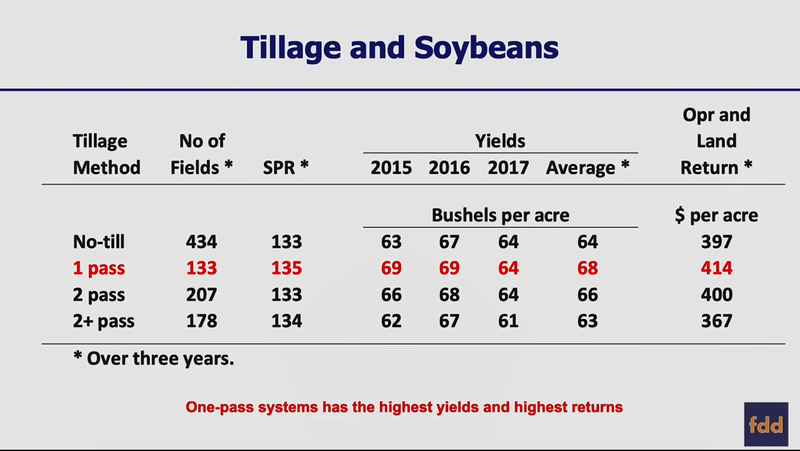 On average for soybean, a one-pass tillage system had higher returns than did tillage systems with more than one pass. Another place to reduce crop costs is nitrogen rates and timing. "From 2015 to 2017, there was no statistical relationship between nitrogen rates and yields when applications exceed Maximum Return to Nitrogen (MRTN) rates recommended by Universities. Profits were lower for farms that applied much more nitrogen than MRTN rates." 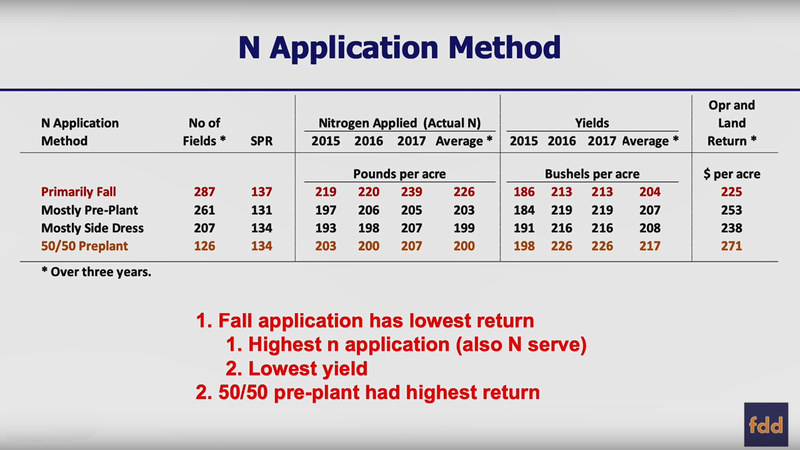 Applications where the largest amount of nitrogen was applied in the fall had the lowest profit per acre compared to applications where the amount was mostly applied pre-plant, side-dress or a 50/50 combination with pre-plant. These study results are available at the farmdoc daily website, "IFES 2018: Management and Conservation in the Face of Lower Returns".